That can be one of the hardest questions to answer right about now. That’s why we are here though. I want you to know your options and avenues you have available to take advantage of. There was nobody there for me when I was trying to sell my flooded Houston house. So the first option would obviously be to repair the house and continue living in it. While this may be the most desirable choice, it might be the most difficult task to overcome. There are so many variables that come into play when it comes to repairing a house that has flooded. You would definitely have to get professionals involved and unfortunately that brings on a hefty price. Not to mention the amount of materials needed to repair a house that has taken on a ton of water… Drywall, floors, sub floors, baseboards, mold treatments monthly, possible foundation issues, plumbing issues, etc… Yikes, that is something I wish upon nobody. The other option you have is to sell it as-is to an investor like my wife and I and move on from the situation. By doing so, you will not have to deal with all of the costly repairs I mentioned above and time associated with fixing up a flooded house. Back when our Houston house flooded I wish I had been contacted by an investor to sell my flooded Houston house fast instead of trying to fix it up myself. To begin, here’s what legitimate investors look for in houses. This will give you a little insight on how we oporate. Investors will first look at the house to determine what your property is worth once it’s all fixed up to market standards. They do this by researching other houses that have recently sold in the area. These houses must be around the same size, number of bed and baths etc. What really makes a flooded house unique is the risk of flooding again. By law when selling a house, you must disclose that the house has flooded. So with that being said, that will make it even more difficult for the resell process since a good percentage of potential buyers will be scared off once they find out the house has flooded. So there is quite a bit of risk on our end when purchasing a flooded Houston house. Next would be the repairs needed to make the house as valuable as possible. Both structural and cosmetic items will be reviewed by professionals to determine the scope of work, or what all it’s going to take. To sum it all up, the goal is to help someone in a time of need. We can be your solution to your problem. 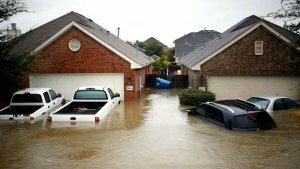 You can sell your flooded Houston house to ARCO Home Solutions hassle free and be done with the situation quickly. Not to mention we can get cash in your pocket and you will not have to pay any fees associated with the transaction. 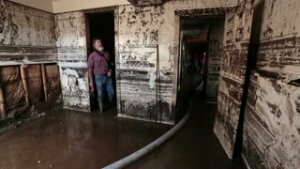 If you’re still asking yourself, “Should I sell my flooded Houston house fast?” give us a call today 713-742-2577 for a free no obligation consultation on your flooded Houston house. Also, please fill out the form below to be contacted quickly.